Karina's Kreations: Stampin'Up Garden in Bloom! 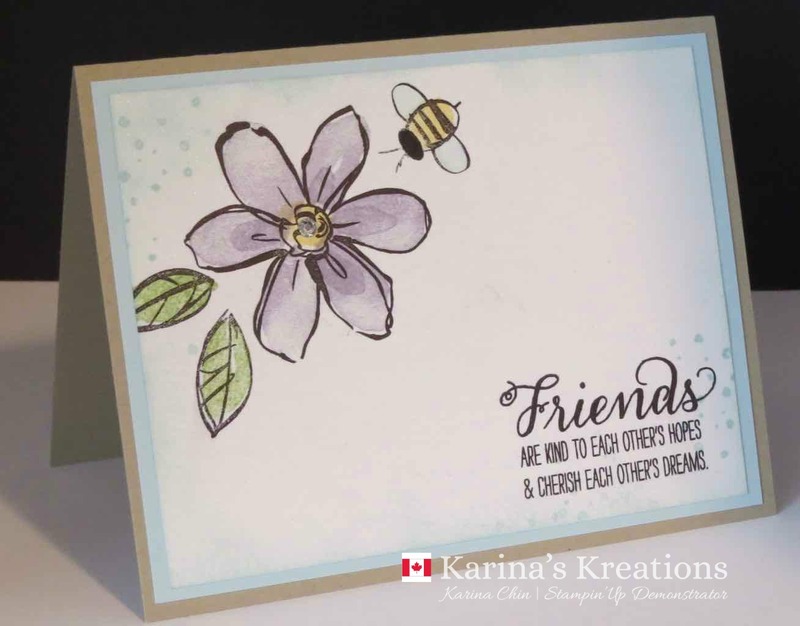 This is a simple and beautiful card we made at a private party last week using the Garden In Bloom stamp set #139433. 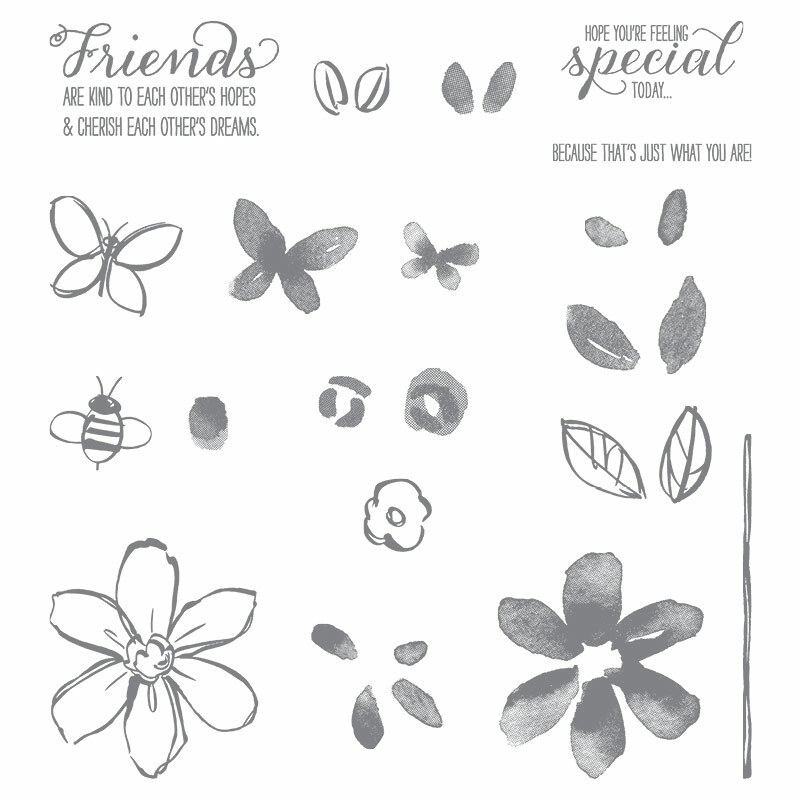 This stamp set has 2 step stamping images that allow you to layer the images, change the ink colors and make an amazing card. The Crumb Cake card stock base is 5-1/2" x 8-1/2" scored at 4-1/4". The Soft Sky layer is 4" x 5-1/4". The Shimmery White cardstock layer is 3-3/4" x 5". The ink colors are all from the Subtles color family. I used Soft Sky, Wisteria Wonder, So Saffron, Pear Pizzazand Black Archival ink. I you need some ink pads I highly recommend buying them in a color family. They come in a handy box for $71.00 #131185 which is a $14.00 savings. Plus you will earn a free sale-a-bration item. I used the dots from the Avant Garden stamp set #143272 on my card. This set is a sale-a-bration item. Please click this link to place an online order!